Join us on Friday and take part. Make a 20 minute playlist. Hand your USB/IPAD to our sound tech Steve and he will randomly play them through the night. The playlist voted the best by Steve and our staff will win. 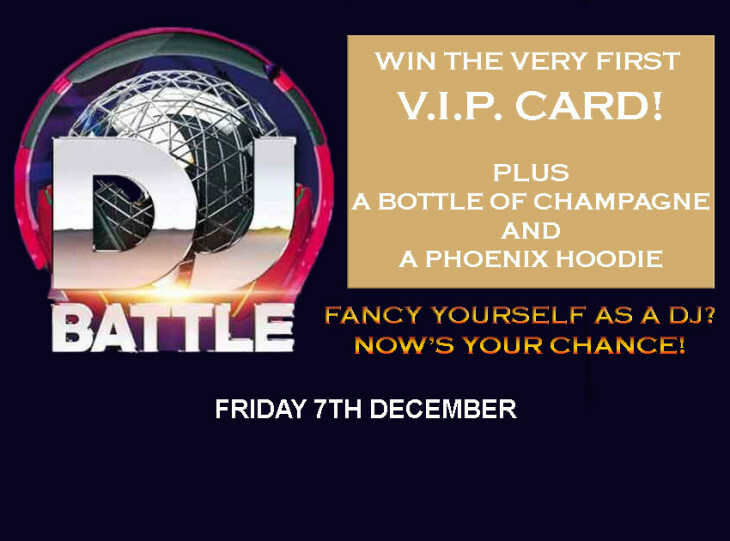 Win the DJ Battle and you will get the very first one to ever be given out! Not only that but you'll get a bottle of champagne AND a Phoenix hoodie! Not bad for just listening to your favourite songs!